Durable and feminine at the same time, this Pink OverBoard 20 Litre Dry Tube Bag, keeps water, sand and dirt away from your prized possessions! Made of PVC, our waterproof Dry Bag is built to last and easy to wipe clean, making it suitable for rough conditions. You can hold it by the sturdy grab handle or wear it over your shoulder with a removable shoulder strap – the choice is yours. 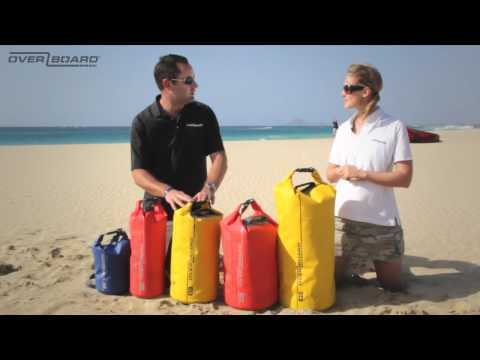 "I was hugely impressed with the Overboard bag, it's simple and easy to use, and very easy to identify, which on a boat full of bags comes in very handy! The bag is robust and can take a battering which again makes it incredibly practical to use, particularly in the demanding coaching environment." "Hi, the bag arrived today, very quick. It is the second I have ordered recently, just wanted to let you know they are perfect and just what I needed! Thank you."